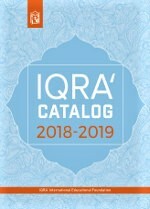 IQRA' selects a wide range of Islamic books, puzzles and learning games for your school. We give you the marketing. We set up and run the Book Fair. You get 15% of book sale for your school.